You rent M4V movies from iTunes Store, but you have 24 hours from the time you start watching the movie until it is erased from your drive. As you know, movies rented from iTunes can be played on only one device. How to unlock the limitations? You can unlock iTunes M4V rental with M4V Converter Plus. It is the best DRM unlocking and converter tool. It can help you to unlock iTunes M4V rental to any format. Convert rental movie to unprotected format videos. Convert any videos played on iTunes, movies, TV shows, Music videos included. 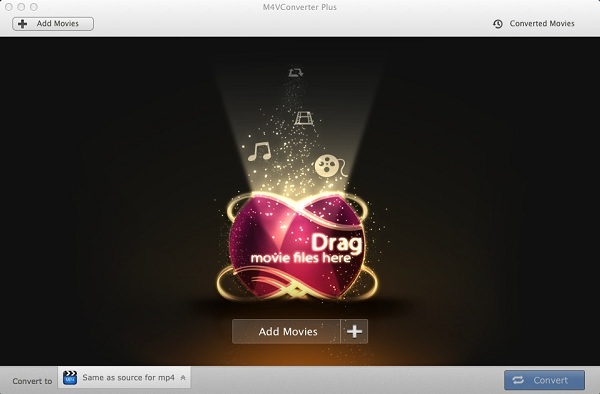 Step 1: Download the powerful M4V Converter Plus, install and launch it. Step 2: Import iTunes M4V rentals you want to convert. Click the button "Add Movies". 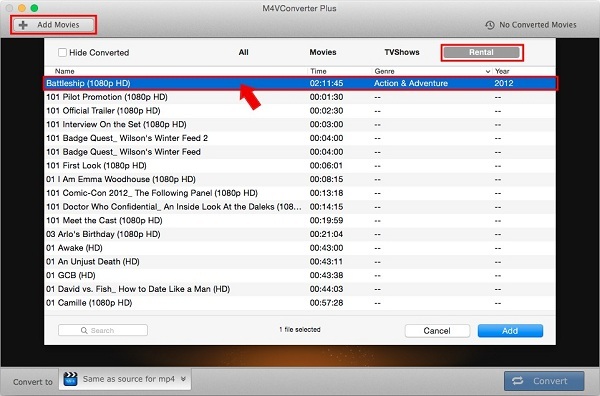 Choose the M4V video files you want to convert from the iTunes. You can drag the file to the software for saving your time. Then click "Add". Click "Convert to" to choose the format you need as your output format. Step 4: Start unlock DRM from iTunes M4V rentals. Click "Convert". You can see the software works with a high speed. A few time later, you can see the unprotected video files on your Mac.